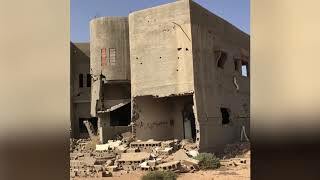 (Beirut, January 24, 2019) – Most of the 48,000 former residents of the Libyan town of Tawergha, forcibly displaced for seven years, have not been able to return home, Human Rights Watch said today after visiting the town. Despite reconciliation agreements that should have paved the way for Tawerghans’ return, the massive and deliberate destruction of the town and its infrastructure, and a pervasive feeling of insecurity, have kept all but a few families from returning. New satellite imagery analysis shows that between 2013 and 2017, when militias from the nearby city of Misrata effectively controlled Tawergha, over 20 kilometers of the city’s underground electric cable network was most likely removed and apparently stolen.